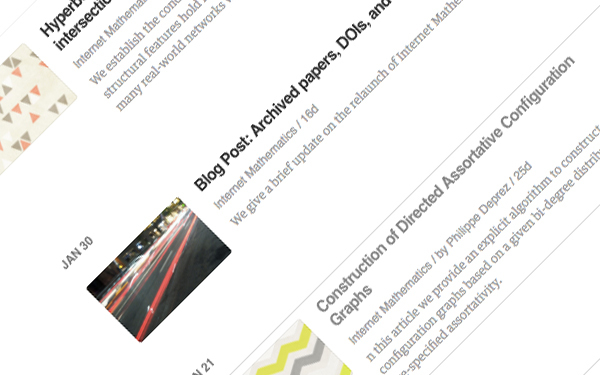 It just got easier to keep track of new articles and blog posts published by journals on Scholastica! We’ve added RSS feeds to all journal profiles as well as Scholastica’s new journal websites. Now readers can plug a journal’s RSS feed into their favorite RSS aggregator (a.k.a. RSS reader) so that all new content from the journal is automatically added to it. That way, readers of your journal don’t have to worry about manually checking for new content, because they’ll be getting all the latest publications sent straight to their favorite RSS aggregator. If there’s one thing we know scholars are never short on, it’s reading material! There is so much information within and across disciplines to keep track of and new research is being published online faster than ever before. We hope the new RSS feeds will help Scholastica journals keep readers engaged and make it easier for readers to keep up with all the latest content they want to follow. You can access the RSS feeds for journals publishing on Scholastica right from the top navigation bar of each journal’s profile or website. Just click on the RSS feed symbol shown above. From there a popup will appear with the journal’s RSS url. Take that URL and paste it right into the search bar of your favorite RSS reader, such as Feedly or Flipboard, select the journal’s feed when it appears, and voila! Your RSS aggregator will now know to follow all updates from that journal. RSS updates for journals publishing on Scholastica include articles and blog posts with images and brief descriptions. If you’re new to RSS - heads up! - don’t try to just paste a journal’s RSS url into a regular web browser. You’ll end up seeing a whole bunch of code that’s not easy-to-follow article updates. Remember, to follow an RSS feed you have to input it into a designated RSS aggregator or reader. More on that below! If you’re new to RSS you may be wondering, what does RSS stand for anyway and how does it work? RSS stands for Really Simple Syndication. RSS feeds are basically a compilation of all the text and metadata from content published on a website. When you apply an RSS feed to a designated RSS aggregator or reader it is able to parse that information and return a compiled feed of all new content from your chosen source. There are tons of completely free RSS aggregators out there to choose from including Feedly, Digg Reader, Feeder, and Flipboard. Just create an account with one of these RSS aggregators or another of your choosing and you can start following all new content from Scholastica journals you’re interested in as well as RSS feeds for other publications you read regularly. What should journals publishing on Scholastica do with their new RSS feed? You’ll also want to ensure that those following your journal’s RSS feed are getting fairly regular updates (about once every couple of months) to keep them aware of it. This is particularly important for readers that have new content from many publications being aggregated into their primary RSS feed. A great way to ensure you’re giving readers fresh content on the regular is blogging! If you don’t yet have a journal blog and are wondering how to start one and keep it manageable, check out Scholastica’s Blogging 101 for Scholarly Journals handbook. We hope you enjoy this new feature! As always, if you have any questions feel free to reach out to us at support@scholasticahq.com!